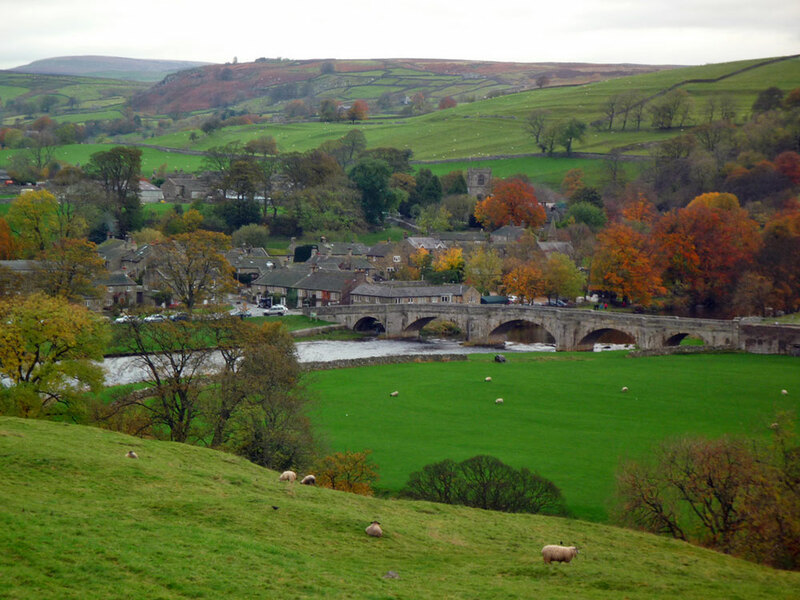 Burnsall is a quintessential Yorkshire Dales village. It is surrounded by high fells offering great views of the village, river and landmark bridge. 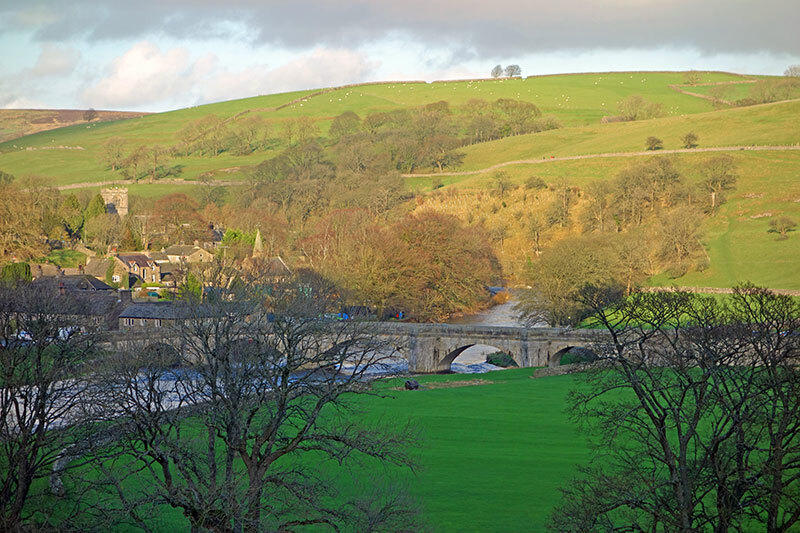 The three arched bridge crosses the River Wharfe and provides an interesting focal point. In the village there are a couple of pubs (including the Red Lion) and the excellent Burnsall cafe. 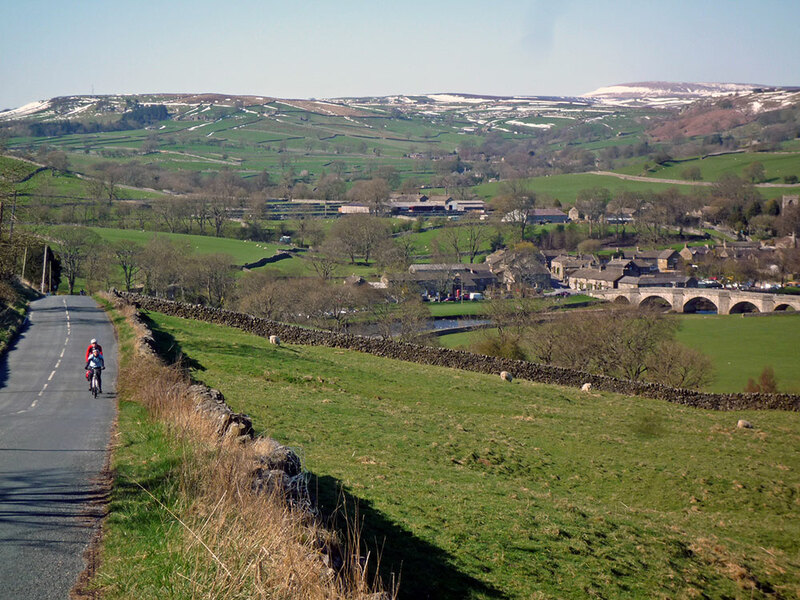 The Burnsall Cafe offers excellent tea and teacakes and is welcoming to cyclists, walkers and just a local passer by. 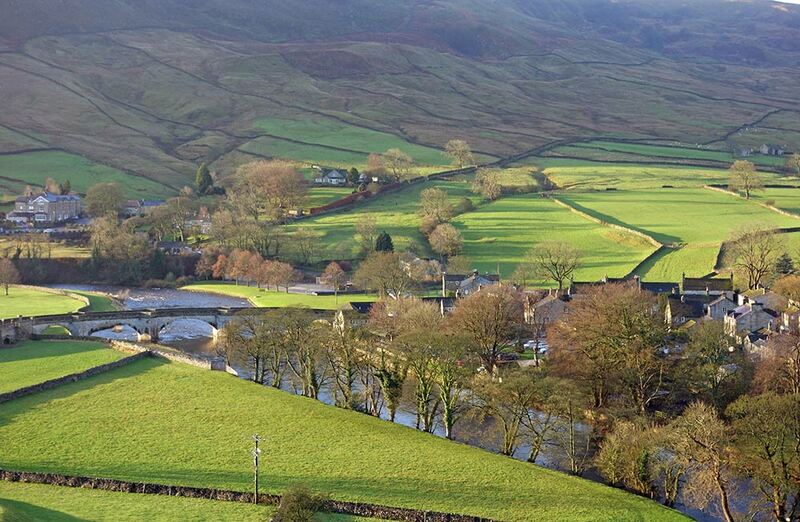 This is a picture of Burnsall from the east on the road towards Hebden and Grassington. 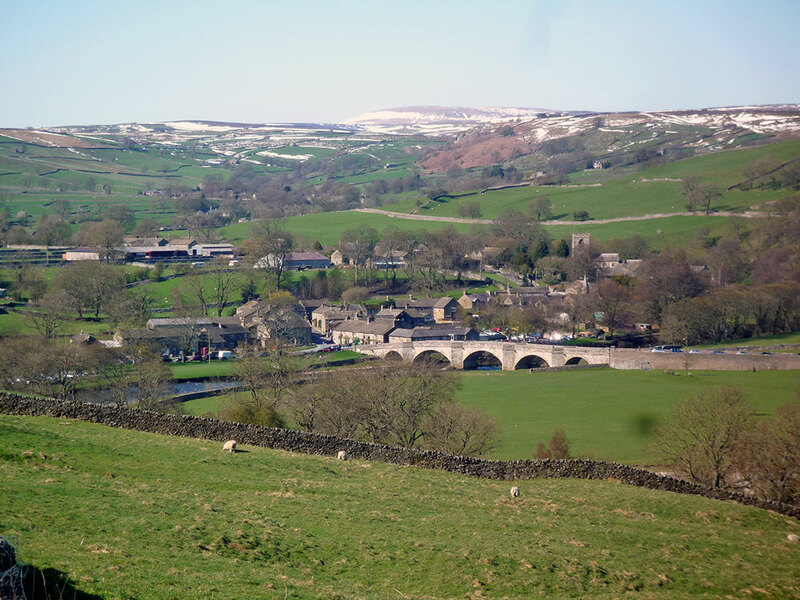 Burnsall fell is in the background. 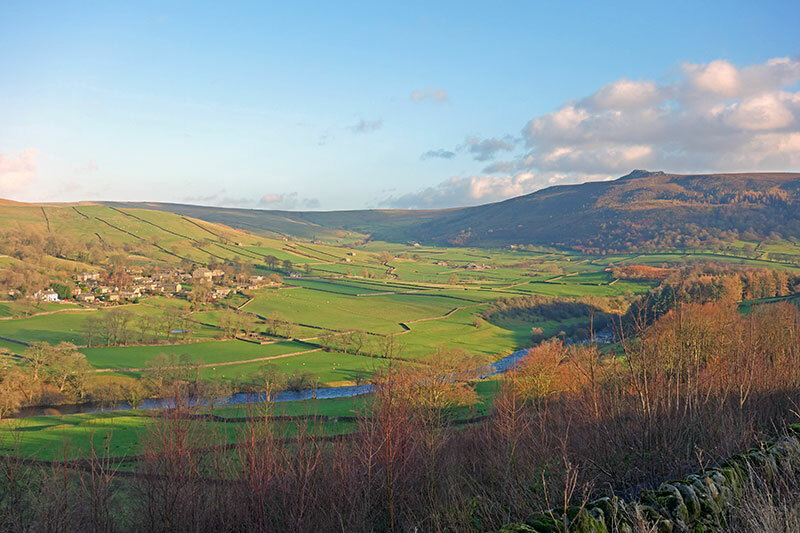 It often rains around Burnsall, but, when the sun comes out it is worth the wait Here the patchy sun catches part of Burnsall Fell. The church is in the shade.